THE Seven Network has defended its report slamming surf officials over deaths at the national titles, saying sometimes the media has to ask tough questions. Seven's Sunday Night program copped widespread criticism on the Sunshine Coast over its report which came just days after the death of 14-year-old Maroochydore club member Matthew Barclay. Surf Life Saving Queensland president Ralph Devlin said it was wrong to suggest that sponsorship arrangements had ever been put ahead of safety when it came to hosting the national titles at Kurrawa on the Gold Coast. Maroochydore Surf Lifesaving Club president Tim Ryan told the Daily today that Seven's report was 'disgraceful' and 'undignified' given Matty's funeral had not even been held. He told the Daily, Matthew's parents Steve and Donna Barclay had been 'disgusted' by the report. But executive producer of Sunday Night Mark Llewellyn defended the show. "Sometimes the media has to ask tough questions that upset people,'' he said in a statement today. "It is not done lightly. However, we believe that three deaths of three young men at the same event on the same beach run by the same organisation is an issue of genuine public interest and concern. "The questions Sunday Night asked are simple, and important: why did SLSA allow a 14-year-old child to go into surf conditions which had been judged too dangerous for full grown men in surf boats and women kayakers?
" Why did SLSA allow a child to go into surf conditions when just minutes before the race it was warned by a professional Gold Coast lifesaver that it was too dangerous for the event to continue? "Surf Life-Saving Australia is a highly respected Australian institution precisely because it is all about saving lives, but that does not exclude it from legitimate journalistic inquiry. "It is also worth noting the family of Saxon Bird, who died in 2010 at Kurrawa Beach, support these questions being asked because they had predicted another tragedy would happen. SUNSHINE Coast life saving officials have blasted Seven's Sunday Night program for a report blaming surf titles organisers for the death of Matthew Barclay. "Any beach can be dangerous...and surf life saving has an element of risk, there's no doubt about that," Mr Devlin told local ABC radio today. Mr Devlin, a barrister and life member of the Maroochydore club, said SLSQ had put appropriate safety measures in place ahead of the 2012 event. He said a previous Coroner's report into the death of Saxon Bird had found no evidence of sponsorships being put ahead of safety considerations. While a weekend newspaper report criticised officials for not bringing in surf flotation vests, Mr Devlin said none of the 16 flotation designs that have been put to the organisation have met the Australian Design Standard. In a statement today, Surf Life Saving Australia said it was "extremely dismayed by the false and unfounded allegations aired about our movement on Channel Seven's Sunday Night program''. "Surf Life Saving is an organisation of over 158,000 members who spend over 1.3 million hours patrolling our beaches, ensuring the safety of beachgoers around Australia. "This week we had a tragic accident at our Australian Surf Life Saving Championships. 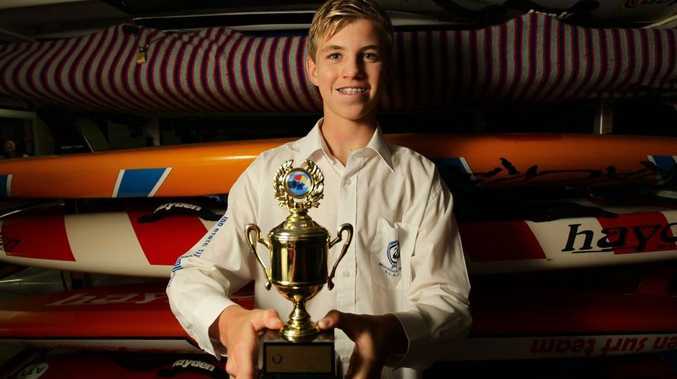 "On Wednesday afternoon, a 14 year old competitor from Maroochydore SLSC, Matthew Barclay, was knocked from his board and failed to resurface. "Matthew's parents, his Maroochydore club mates and the broader membership of Surf Life Saving are still grieving over Matthew's death. "Surf Life Saving Australia is fully cooperating with the police investigation into Matthew's accident and we await their final report. "We would like to categorically refute claims made by Sunday Night that Surf Life Saving Australia would put financial obligations ahead of safety. "Our movement exists to save lives and we are insulted by the suggestion that we would put financial gain ahead of life.